Brands want festival goers to enjoy the best possible music experience by making it all about authentic experiences. We’ve seen how big retail brands, like Hunter and H&M, have leveraged music sponsorships to engage millennials. With today’s advancements in the technological landscape, being connected has become one of the most vital tools in the music festival experience. For the tenacious festival goer, making it all about the music and nothing else is the advant music fans expectation. Today's music fans have an array of options due to these advancements in technology, such as websites where they can purchase tickets to the gadgets they use to enjoy the festival's activities. Festival goers now have an array of tools at their fingertips to make the experience an enjoyable one with minimal disruption such as wristband activation, friend finder, shuttle tracker and meal planner, to name just a few. 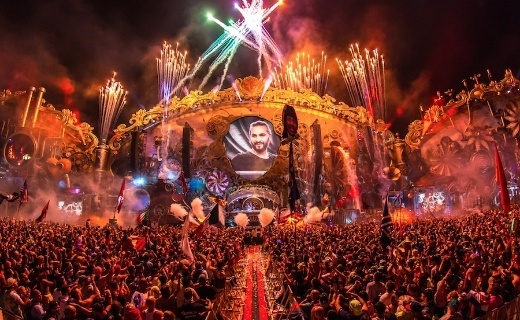 Tomorrowworld Music Festival is a prime example of how technology can amplify a musical experience. They have propelled a digital revolution which others are now following by doing away with concert tickets; instead, they use wearable tech wristbands. 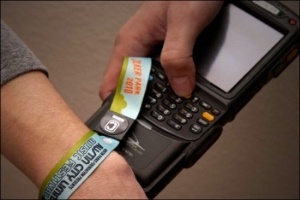 Not only do these wearable tickets contain attendees information, it prevent attendees from losing their tickets and facilitates a cashless environment. Even the purchasing of food/drinks and merchandise is all done via these very cool wearable tech wristbands, creating a seamless experience that makes music the focal point. This convenient invention in today's ever increasing world of tech is one to be marvelled at and replicated in numerous ways. Further, with music fans enjoying their music with a side of social, these wristbands contain emails linking to one another's facebook accounts so that festival goers can add new friends and share experiences. A must do is to download the festival's official app, so that music fans can plan out their exact move and see every band with the click of a button. Festival goers are encouraged to create a personalized schedule to assist them in planning their every move - from which band they want to see to a map of the festival ground, information on artists, and food and beverage information. 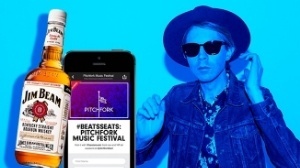 Paste Magazine made a list of the 10 essential Apps for music festival season that should be downloaded by every festival reveller to ensure that the time spent at the festival is one where the event is enjoyed most without the worry of planning in between. There's even an app called Waterin - which reminds festival goers on how much water they should drink to ensure being hydrated is optimal at enjoying the musical experience. Beacon technology is one of the most innovative tools, which we will hear more about in 2016. Many music festivals are already using this bluetooth-enabled micro-location technology, which delivers proximity-based information, navigation and notifications to festival attendees. When done correctly, geo-targeting through beacon technology is proven to drive higher engagement, so that related content is pushed to music fans according to their location via their smartphones. These tiny, signal-permitting beacons may soon become a standard addition to music festivals. 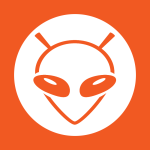 A music fan's experience will certainly be amplified with this innovative app by rewarding festival goers with contests, giveaways and promotions pushed real-time to their smartphones. Other advancements in technology such as drones, video technology, and live streaming will mean that future festival attendees won’t even need to leave the comfort of their homes to experience the event, with organisers perhaps offering two tier ticketing systems for physical and virtual revellers. In October of last year, music discovery app Shazam decided to add a new dimension to their already popular app by giving users the choice to follow hundreds of musicians such as Alicia Keys, Wiz Khalifa and Fall Out Boy to name a few. Artist profile pages were able to highlight not only their top tracks and videos but also a stream of recently "Shazamed" songs and their profile follower count. While waiting for stage set up or even in between performances, festival goers can use Shazam to discover what songs their favorite artists are listening to. This is certainly another app which will come in handy to make sure that there is no dead air between artists and fans. 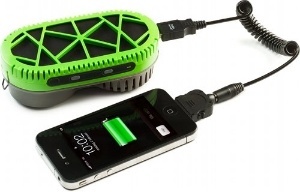 And when it's all said and done, all this amazing technology can burn out your battery fast - so you’ll definitely want to pick up a PowerTrekk, which uses ordinary water to charge most USB-compatible devices. There would be nothing worse than a dead battery with the mecca of technology at one’s fingertips and not being able to use it. With technology advancements comes significant data collecting opportunities for advertisers, marketers and vendors from music fans, which will serve to increase customer engagement in the future. 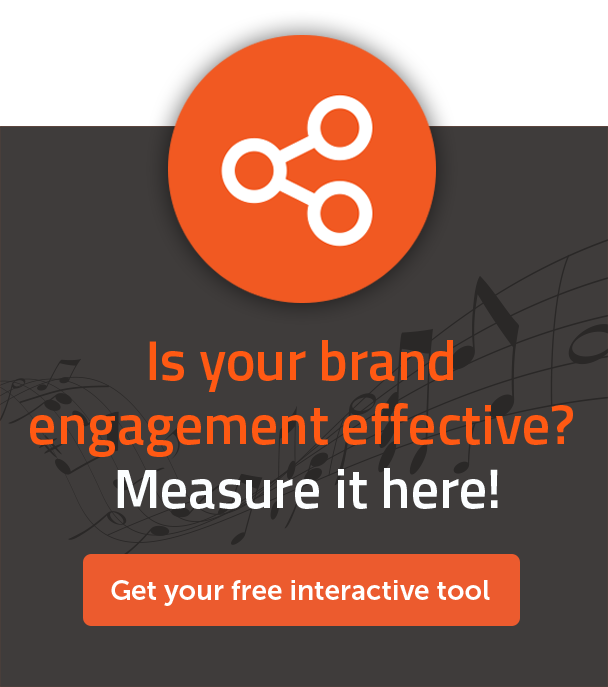 As mentioned above, wristbands and a number of these apps will be a great way for brands to interact with music fans - getting to know them emotively and socially by discovering new ways to reach these fans without seeming intrusive. 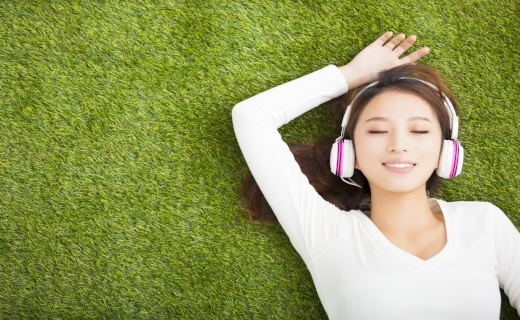 A unique opportunity can be manifested in turning music loving fans into brand loving fans. With a memorable live experience, music fans will be more than enthusiastic in becoming a brand advocate. Festival organisers, in conjunction with brands, will be able to gather event data such as favorite band performances, complaints on security and public facilities, etc. For festival organisers, real-time feedback on their event via social media facilitates a way to cut down costs and re-allocate resources wherever necessary. Authentic experiences is what this generation of millennials revel in the most, and they want brands to take them to higher grounds. 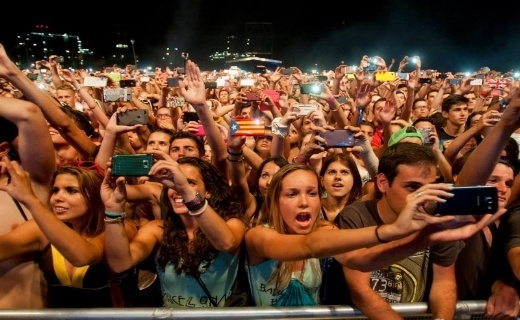 Millennials love attending concerts and music festivals, and brands should want to be where they want to be. These fans are discovering and evangelizing new bands before the recording industry is even aware of them, being at the center of bona-fide experiences. Data like this shouldn't be ignored by brands, and they should seek a way to be involved in the lives of music fans and live experiences. We know that today's consumer is more connected and sophisticated than before, and are therefore overloaded with marketing messages through various channels. What consumers prefer is to be given an authentic experience which in return, will have them responding positively towards brands. While authenticity is the mecca of music marketing, technology open channels for interaction and transparency. If you found value or insight from this post, please consider sharing it on Twitter or Linkedin. Thanks for reading!